By now we all know Johnny Storm – the Human Torch of the Fantastic Four – is the latest victim of a comic book killin’ over at Marvel. In typical fashion, the Torch died heroically if somewhat pointlessly in issue #587 of the Fantastic Four. 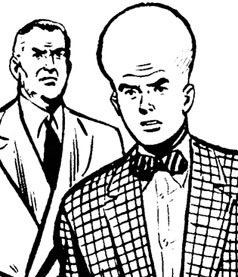 (I’ll spare the details just in case someone hasn’t read the issue yet, but seriously, if you read comics at all you’ve probably heard by now that he’s gotten the kibosh). Everyone knows it ain’t gonna stick, and in a year or two (if not sooner), Johnny will be back in all his flaming glory. It’s such a cliche that I felt cliched just typing that out. The casual frequency with which superheroes get whacked at both Marvel and DC is just one of the reasons it’s hard for me to think much of the Torch’s death. 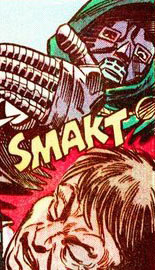 Honestly – and I might get flack for this – I’ve never been that big a fan of the Fantastic Four. Sure, I enjoy reading an FF book now and then but I’ve never done it regularly, much less so in recent years (though I hear Jonathan Hickman has done a good job of bringing back all the elements that make the characters great). Another part of it is – well, who cares about Johnny Storm? On top of being members of one of the premier super-teams in history, Reed and Sue have the dynamic of marriage and kids. Ben Grimm famously has a clobberin’ personality wrapped in the rocky shell of the Thing, which itself comes with its own particular angst. But Johnny? 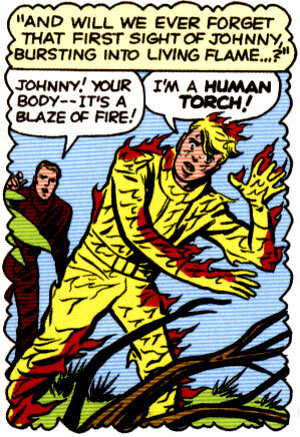 Johnny’s a somewhat privileged, handsome kid who likes to drive fast cars, hit on women and lucked into super-powers that an android also called the Human Torch had about 20 years earlier. He also doesn’t need to work since his sister Sue married the patent-rich genius Reed. Mostly, he’s a glory-seeking goof. But the more I thought about it, the more I realized THAT’S THE POINT. Of all the members of the Fantastic Four, the Torch is the character people can most relate to, especially when you consider that at the time he was created most comic book readers were kids themselves. Johnny is the pure joy of being a kid with super-powers whose only responsibility is to go beat up bad guys with the help of a loving family. Talk about wish-fulfillment. With that in mind, pour a 40 for our fallen homie and celebrate the comic book life of Johnny Storm and his adventures as the Human Torch with me. Every Friday I’ll be posting a scene featuring Johnny in action, in repose or at his philosophical best, and together we’ll see what made him such an important part of the Fantastic Four. At least until they bring him back or something. For now, hold your cigarette lighters high and sing along – I can’t think of a better way to memorialize the Human Torch, can you?